Earn $8.08 in VIP credit (808 points)What's This? Maxxis enters the 29+ realm with the all-duty Chronicle EXO TR. 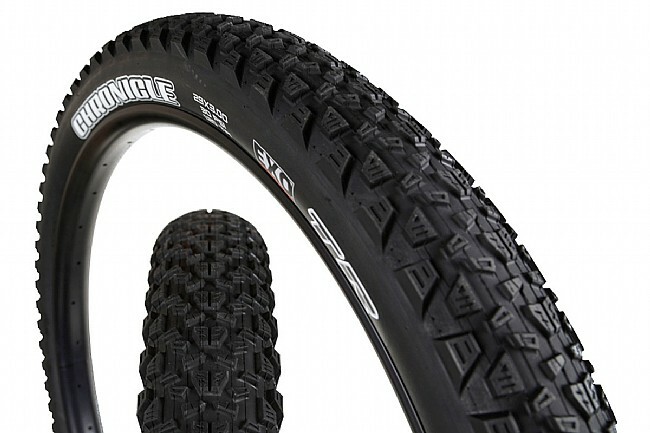 Its tubeless-ready design features a dual rubber compound and an EXO reinforced sidewall that's resistant to both cuts and abrasions on the trail. The shallow center knobs allow for quick rolling, while more aggressive side knobs still allow the tire to hook up in corners. Folding bead. 120 TPI casing. Claimed weight is 1050 g. 29" x 3.0".